In February of 2011, Atlus released a DS role-playing game called Radiant Historia that I described as the love child of Chrono Trigger and Final Fantasy Tactics. It was under-appreciated. And now it’s coming back. This week in Famitsu, Atlus announced Radiant Historia: Perfect Chronology, a 3DS remake that will come with “a new scenario” and be out on June 29 in Japan. We don’t know whether it’s coming to North America—I pinged Atlus this morning to check—but hopefully it introduces a whole new generation of players to an excellent RPG. 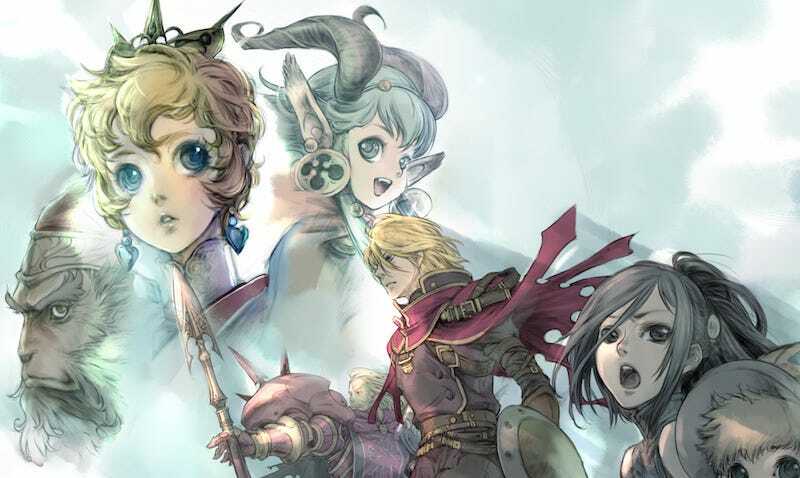 Developed by a ton of experienced staffers who worked on series like Etrian Odyssey and Shin Megami Tensei, Radiant Historia is a time travel game in which you can make several pivotal decisions, then go back to the past to see what other outcomes might result. You can also use information you get in one timeline to alter your decisions in another, sort of like the Zero Escape series. Combine all that with a fun, challenging grid-based combat system and you’ve got a very good video game that I hope gets the attention it deserves this time around.